I spend a lot of time in my office and kitchen working. If I am not working on a project, I am editing images or video, which can be kind of boring. One thing that I love to do when working is listen to music. The problem is my phone battery is less than stellar, so finding a way to listen to music while my phone is charging in another room was a big problem. I was lucky enough to find the solution to this problem. 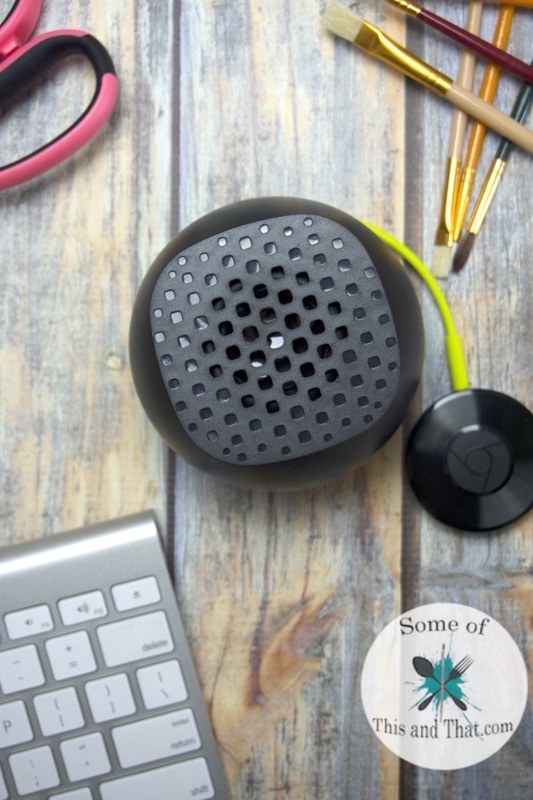 The Google Chromecast Audio! 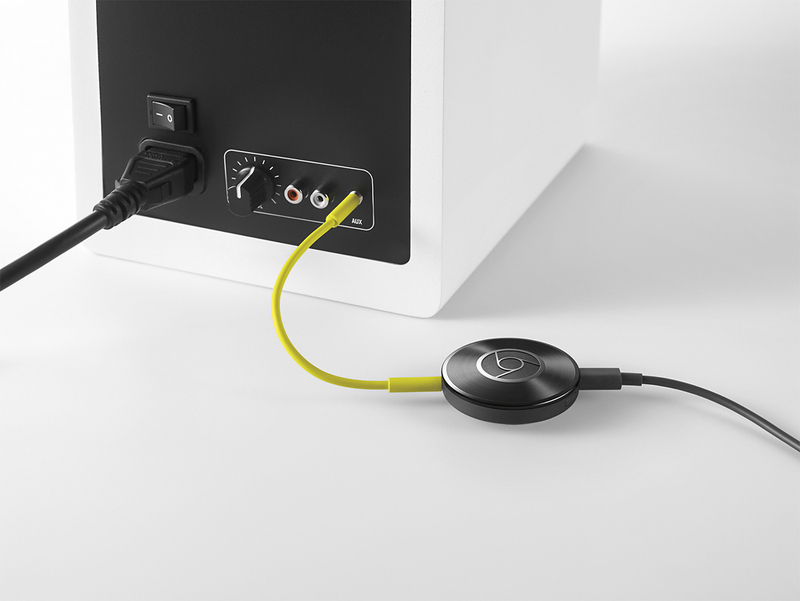 I have used the Google Chromecast for my television, but I had no idea that they made one for just audio! It runs over Wifi, not Bluetooth, so the sound quality is amazing! I can control everything from my phone and even make phone calls without interrupting the flow of music. I am not just limited to using my phone though. I can use my tablet or computer to stream music! You can stream millions of songs, radio stations, and even audio from applications like Pandora, Spotify, YouTube Music, and Google Play Music. 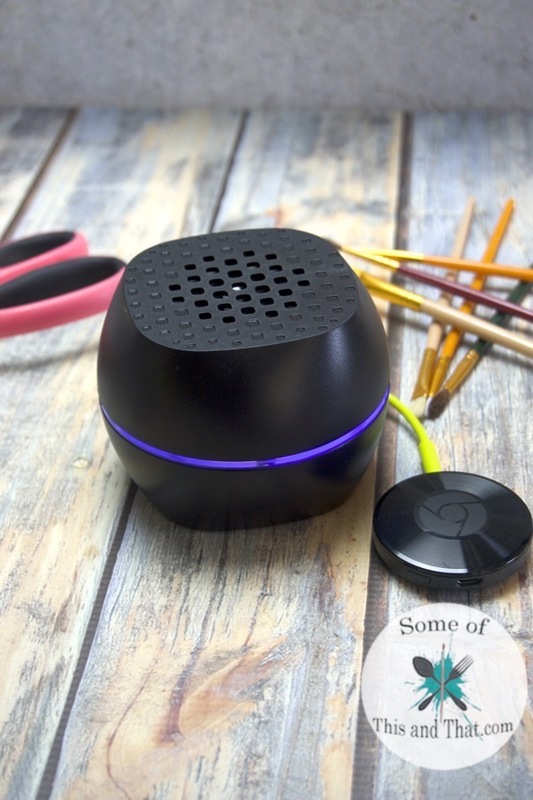 If you have multiple Google Chromecast audio devices, you can steam music through your entire home that is synced! Now I can have music playing in my office and kitchen at the same time by grouping each of my Chromecast Audio devices together. I think that this may be my new favorite gadget. Previous Post: « 3 DIY Harry Potter Crafts!